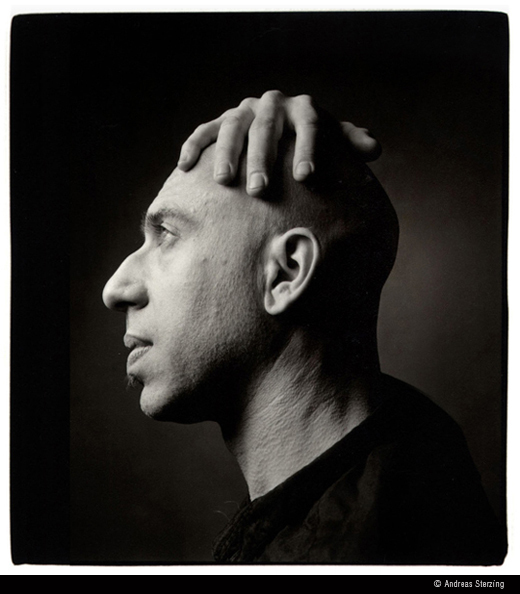 I think the first time I heard of Elliott Sharp was when a friend played a vinyl copy of 1988s Larynx. I later got hooked on the delightfully noisy string quartets of 1987s Hammer, Anvil, Stirrup. With 89 albums to his credit (according to discogs.com) Sharp writes and plays music in a range of styles and for a range of ensembles. Only two years older than John Zorn their musical paths are similar in that they both learned multiple instruments as children. While they are both incredibly creative, intelligent and productive artists, Sharp initially took a more traditionally academic path while Zorn is largely self taught (an amazing feat in itself). Sharp studied music, anthropology, improvisation and electronic music with teachers like Benjamin Boretz, Roswell Rudd, Morton Feldman and Lejaren Hiller. His music frequently uses Fibonacci numbers, fractals, chaos theory and genetic metaphors. His collaborators have included blues guitarist Hubert Sumlin, Qawalli singer Nusret Fateh Ali Khan (and many others) and practically a who’s who of the Downtown New York scene. He produced the Nonesuch album of Ornette Coleman covers by John Zorn (Spy vs. Spy, 1988) which is definitely worth a listen. It is one of a series of such recordings of covers of various artists which have also included Ennio Morricone among others. 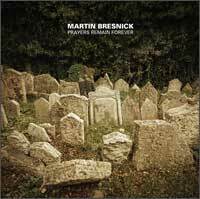 The present recording comprises works written between 2004-2008 and, like the previous release of music by Martin Bresnick (reviewed previously in this blog here), comprises a sort of snapshot of the composer’s recent work. Like the Bresnick disc this recording samples Sharp’s writing for a variety of ensembles and is an effective portrait of his mature style. As a long-standing performer in the New York downtown scene Sharp experimented with a variety of compositional and instrumental techniques consistent with his scientific interests. Now such experimentation by itself is of little interest except on a theoretical level but what we hear in the works in this recording is a composer who has integrated these techniques into a sound that is pretty uniquely identifiable as Elliott Sharp much as J.S. Bach’s techniques are easily recognizable in identifying that composer. 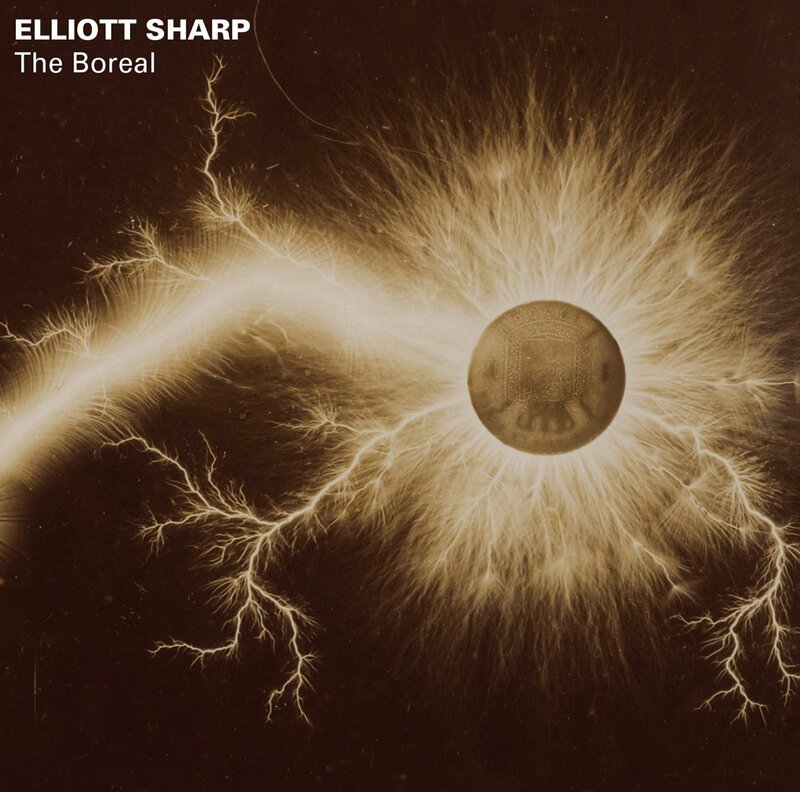 The first work (and the one that lends its title to the album) is The Boreal (2008). It is the most recent of the compositions and is another chapter in Sharp’s reinvention of string quartet writing. Written for the noted JACK quartet, it involves the use of different types of non-traditional bows fashioned by the composer and creates sounds full of harmonics. It is probably unlike any string quartet music you have ever heard and it expands the notion of what that traditional classical ensemble can do. The recording, though recorded live at the Ostrava Festival, is remarkably free of ambient noise which allows the listener to hear the subtleties of the rather wide dynamic range to be heard without the interference. The work resides in more or less the same sound world as his other quartets and its four movements seem to follow logically creating a conceptual whole as with any of the more conventional quartets in the repertory. The second work, Oligosono (2004) is for solo piano. As the liner notes tell us it is Sharp’s application of extended instrumental techniques which he developed on his guitars to the piano (a pretty interesting accomplishment). 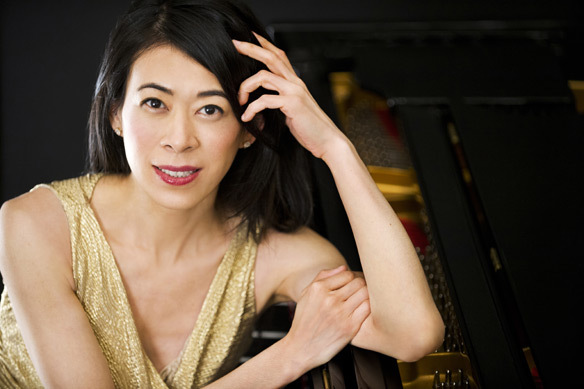 It is written for and played by the wonderful Jenny Lin who navigates the inside of the piano as well as the keyboard in some rhythmically complex and virtuosic playing. She executes the three movements with seeming ease. Now we come to the composer’s work for larger ensembles. 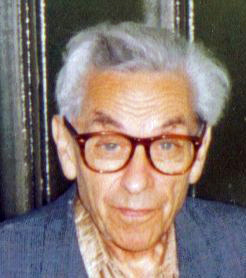 Proof of Erdös (2006) is named for the mathematician Paul Erdös (1913-1996) perhaps most famous for the Erdös Number which is an indicator of the degree of separation a given person has with another (Erdös’ number would be a zero and his direct collaborators would be a one. I’m guessing my Erdös Number with regard to Mr. Sharp would probably be at best a three for having reviewed this album). Proof of Erdös is a four movement work written for Orchestra Carbon (one of Sharp’s various ensembles) and it is ably conducted by the American composer/conductor David Bloom. It is a studio recording. The work shares some of the sound world of the last piece on the album but the ensemble is more of a chamber group than the full orchestra but produces a similarly large and complex sonic image. On Corlear’s Hook (2007) is a work for full orchestra and, for this reviewer, it is a great opportunity to hear Sharp’s ability to write for large orchestra. 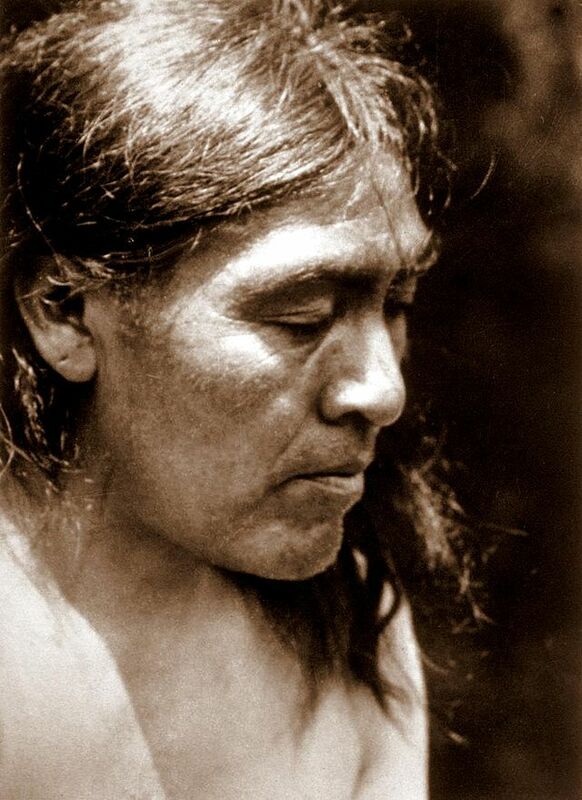 It’s title is taken from a the lower east side neighborhood in Manhattan where Sharp resided with his family. As the composer says in the notes there is no attempt to be programmatic or pictorial that the music is, “a reflection of the spectra of my existence (there) from one frequency band to another”. The performance by the fine Janacek Philharmonic is conducted by the German conductor Peter Rundel (1958- ). Rundel, whose credits include a Grand Prix du Disque for his recording of the works of Jean Barraque (1928-1973), delivers a convincing performance of this tour de force. The four movements, reflecting Sharp’s “spectra” coalesce to a unity which suggests that this piece could easily be called “symphony” if one wanted to use that apparently dated term. The audience seems attentive or at least respectfully quiet which makes for a pretty definitive recording. A great debt is acknowledged here to the fine work of the Ostrava Days festival under the guidance of Petr Kotik (1942- ) for curating this amazing annual new music event. There are very useful liner notes by legendary boundary defying cellist (and sometime Sharp collaborator) Frances-Marie Uitti. Sharp himself provides notes in the accompanying booklet. As usual with Starkland the recording is of very high quality and Tom Steenland’s gift for graphic design (using an 1888 photo of electrical “effluvia” from the surface of a coin) is well suited to represent the contents of the recording. 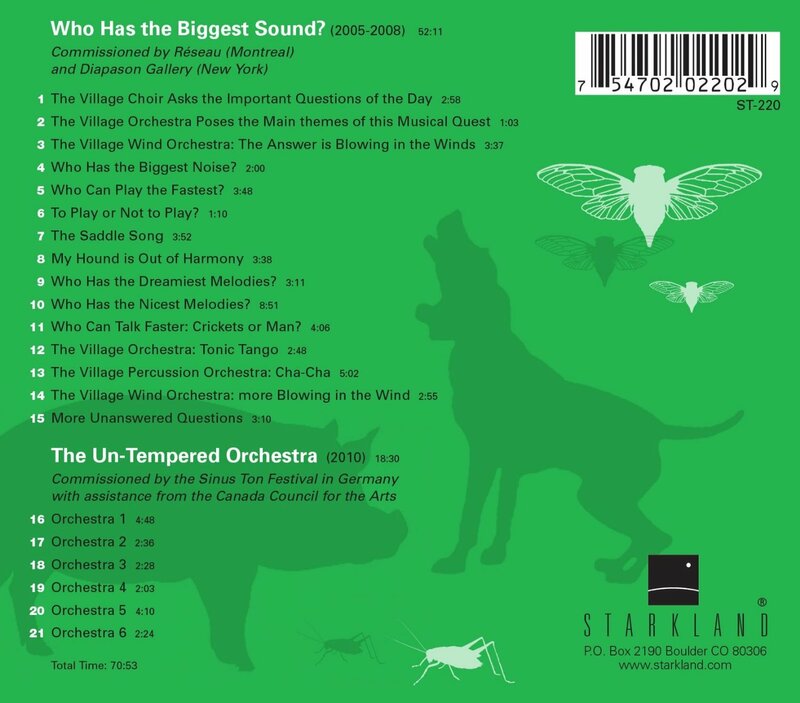 Like many of Starkland’s releases this album challenges the listener but meeting that challenge and giving this a serious listen is ultimately very rewarding. This is a fine example of a composer whose work deserves to be better known and this is a good sampling of some of his most refined work. Hopefully this release will help to position Sharp as a composer with roots in the downtown improv scene who has taken his experimentation successfully into the larger world of the contemporary classical scene. This new Starkland release (due out on July 29th) is actually the second time that Paul Dolden‘s music has appeared on the label. The groundbreaking Dolby 5.1 surround audio DVD with images, Immersion (2001) contains his Twilight’s Dance (2000). 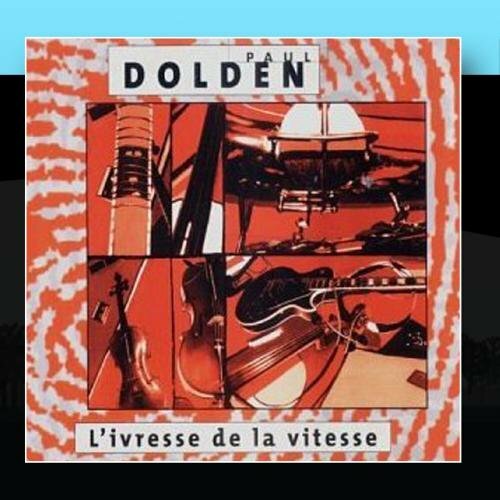 Paul Dolden is a multi-instrumentalist born in Ottawa, Ontario, Canada in 1956. He has worked as a musician since age 16 playing violin, cello and electric guitar. His work has been described as post-modern, the new complexity, electroacoustic and ambient but none of these descriptors can give you a clue as to how his music actually sounds. In addition to his instruments he makes extensive use of recording technology and sampling techniques. But Dolden is not a tinkerer with a laptop and Garage Band software. His music appears to stem from a variety of influences and ideas which embrace acoustic instruments, tape techniques, digital editing, alternate tunings, rock, classical, jazz and perhaps other influences as well. His album L’ivresse de la Vitesse (1994) was listed in Wire Magazines list of “100 Records That Set the World on Fire”. This was indeed his breakout release. Two previous albums are essentially retrospectives of his work. ‘Threshold of Deafening Silence’ (1990) contains works from 1983-1989. And ‘Seuil de Silences’ (2003) contains works from 1986 to 1996. He followed L’Ivresse with ‘Delires de Plaisirs’ (2005). Both his biographical sketch on electrocd.com and his Wikipedia page were both created by Jean-François Denis, the Montreal based producer of the empreintes DIGITALes label which released most of Dolden’s recordings along with a treasure trove of music by mostly Canadian electroacoustic composers. There is a great deal more to Canada than hockey. There is a rich musical culture which inscrutably is very little known in the United States. This new release would be welcome if only for its making some of the best of that culture better known. Dolden has written over 30 commissioned works for various ensembles from chamber groups to symphony orchestras. His works have been played by the Espirit Orchestra (Canada), Phoenix Orchestra (Switzerland), the Stockholm Saxophone Quartet and the Bang on a Can All Stars. He has been most favorably profiled in The Village Voice and Wire Magazine. So this Starkland release is the fifth CD devoted entirely to Dolden’s work. 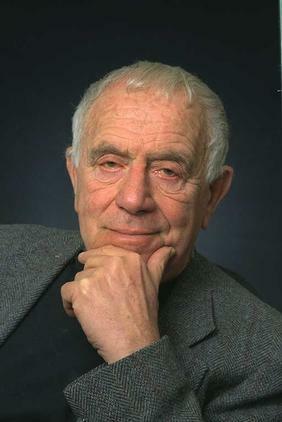 His work appears in several collections, most notably the sadly out of print Sombient Trilogy (1995) which places Dolden’s work in context with many of his peers including Maggi Payne, Dennis Smalley, Stuart Dempster, Elliott Sharp, Ellen Fullman, Maryanne Amacher and Francis Dhomont among many others. Perhaps the San Francisco based Asphodel records will re-release this set or it could even wind up on one of those treasure troves of the avant-garde like Ubuweb or the Internet Archive. It is worth seeking out. 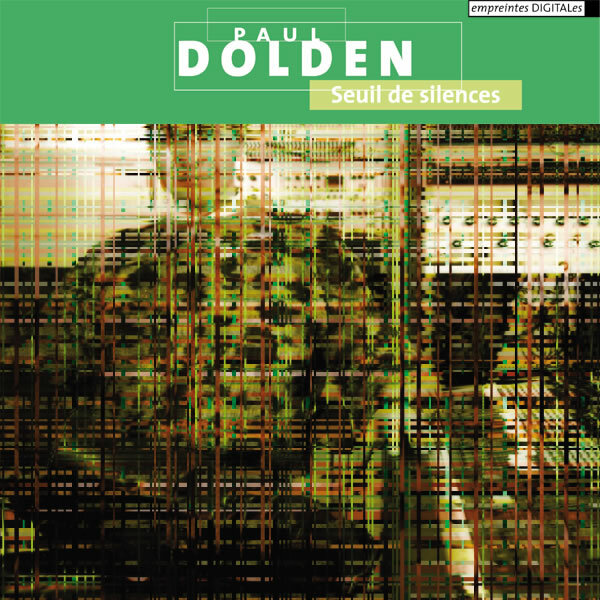 Dolden’s work is pretty consistently electroacoustic, meaning it contains live musicians along with tape or electronics. And while this is still true on the disc at hand ‘Who Has the Biggest Sound?’ would be difficult to stage in a live setting. Its dense complexities would require very large forces. The specter of Glenn Gould and his ultimate reliance on studio recordings rather than the unpredictable nature of live performance looms here. The album is very competently composed, produced, mixed and mastered by Paul Dolden. The recording is consistent with the high sonic standards by which Starkland is known. Executive producer Tom Steenland contributes the appropriately enigmatic cover art. Starkland’s genius here is in promoting this amazing artist. This disc contains two very different works, each in several sections. 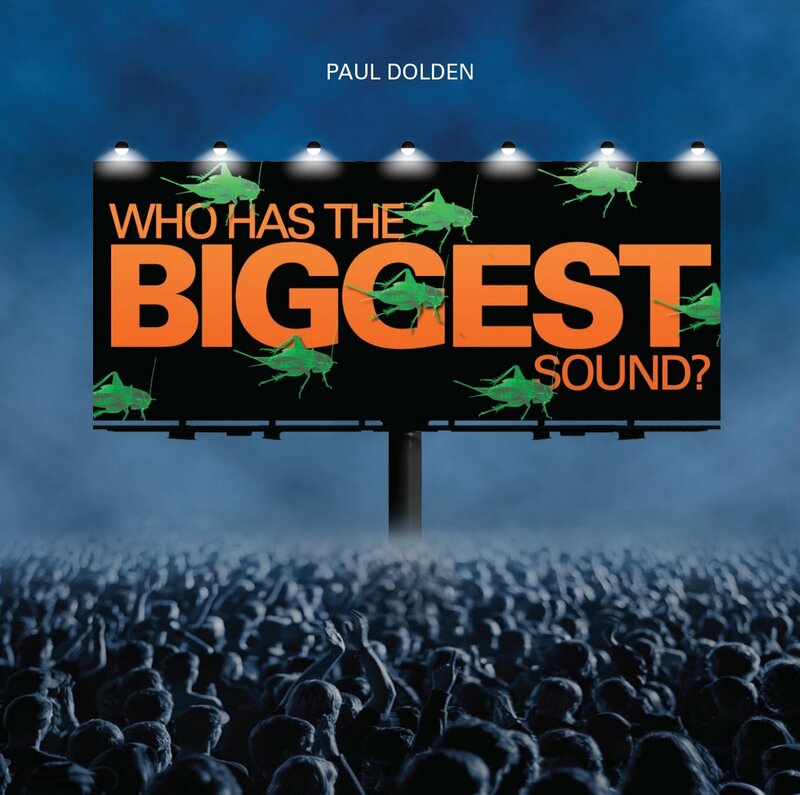 ‘ Who Has the Biggest Sound?’ (2005-2008) is the major work here. Dolden’s intricate methods are put to very effective use in this sort of virtual electronic oratorio describing the search for the sonic Holy Grail with mysterious poetic titles to each of the 15 different sections. In my notes taken during multiple listenings (this is not a piece I think most listeners will fully grasp the first time through, I certainly did not) I struggled to describe this music. In it I heard some of the collage-like elements of John Cage’s Roaratorio and Alvin Curran’s Animal Behavior. Certainly there are elements of free jazz and the sort of channel changing style of music by the likes of Carl Stalling and John Zorn. I flashed back to the overwhelming complexity of a live electronic performance I once heard by Salvatore Martirano and felt nostalgic for the sounds of Robert Ashley’s similarly electroacoustic operas. Repeated listenings revealed more depth and coherence. 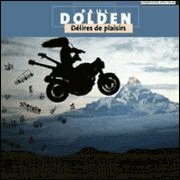 Dolden reportedly spent hundreds of hours in the studio mixing this magnum opus so I didn’t feel badly that it initially eluded my intellectual grasp. 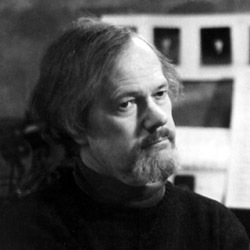 The second work ‘The Un-Tempered Orchestra’ (2010) is described in the liner notes as owing a debt to Harry Partch and while that’s certainly true I would suggest that it owes a debt to other masters of microtones such as Ben Johnston, Alois Haba, Ivan Wyschnegradsky and perhaps even La Monte Young, Tony Conrad, James Tenney and John Schneider among many others. It is cast in six sections which, curiously, do not have the poetic titles accorded to the sections of the previous work and which are generally ubiquitous in Dolden’s output. That being said, Un-Tempered Orchestra in its six brief sections shares much of the same sound world as the former work. It is more intimate in style and is similarly difficult to anchor in any specific tradition. It is in part an homage to Bach whose Well-Tempered Clavier celebrated the introduction of equal temperament tuning which would become the standard tuning system for the next 200+ years. This is a deconstruction, if you will, of that system and explores some of the endless possibilities of alternate tunings. This is a fascinating and intriguing release which will spend many more hours in my CD player. It is a great new addition to the quirky but ever interesting catalog of Starkland Records and a welcome example of a composer at his peak. It is available though the Starkland Records website as well as through Amazon. Highly recommended. The music of Ingram Marshall (1942- ) first came to my ears via the New Albion recording of the Gradual Requiem (1994) written in memory of his father. The spare sounds in this abstract electroacoustic piece remind one of the music of Harold Budd or the ambient music of Brian Eno. Like them Marshall has developed a unique and significant voice drawing from methods including minimalist repetition, drones and static harmonies. He also incorporates electronic music techniques and the techniques of the modern recording studio as well as non-western tunings and instruments. But even given all the comparisons and qualifiers it is difficult to describe his voice because it is a unique style that, once heard, will leave it’s stamp of individuality much as the distinction between the above-named artists or, for that matter between a Mozart vs. Haydn style. Very difficult to describe in words alone. 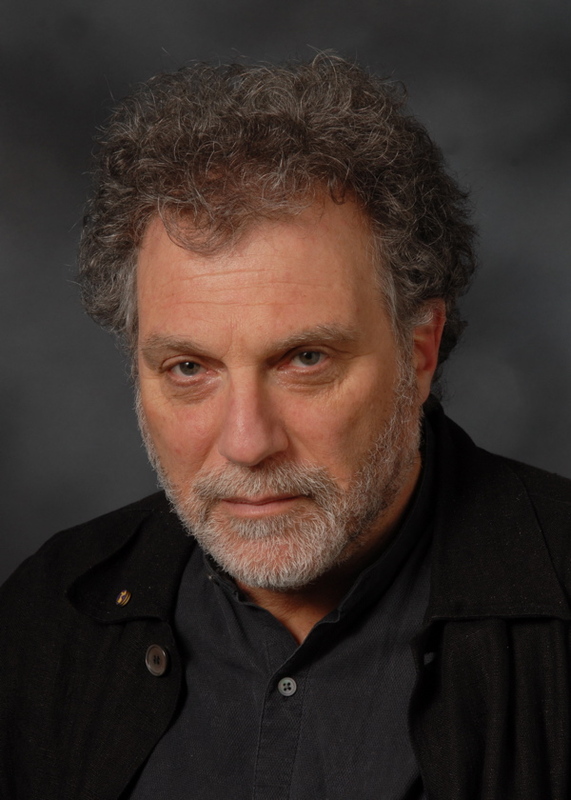 Now a visiting professor of composition at Yale School of Music, Marshall has had a successful career as a professor, composer and performer. He has written for a variety of instruments including electronic sounds, piano, guitar and voices as well as for chamber and orchestral groups. He has released 8 (now 9 with the present DVD) albums. 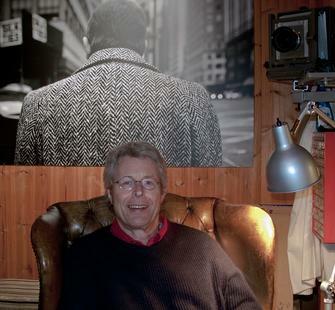 Jim Bengston (1942- ), born in Evanston, IL developed an interest in photography while in the army. His work will be familiar to music fans through his work on many albums including the characteristically beautiful photographs seen on albums from ECM. His work has been exhibited at MoMA, Art Institute of Chicago, Walker Art Center, National Museum of Art, Architecture and Design in Oslo, Lillehammer Art Museum and many others. Starkland pioneered a wonderful DVD audio release in 2000 (which includes Marshall’s ‘Sighs and Murmurs’) called Immersion which contained works commissioned for the new Dolby 5.1 system, the first disc of it’s kind and still a landmark production. Now comes this DVD from the always interesting Starkland records of two collaborative works between these fine artists making full use of the medium. Like that earlier disc, this is a venture into another type of art object. The disc contains musical tracks and a series of photographs leisurely timed with the flow of the music. But this is not a commercial DVD experience of a film nor is it a traditional slide show. It is not didactic and only incidentally linear. It is not just a piece of music for listening either. The experience that I come away with is more of a hybrid experience of something like a living electrovisualacoustic sculpture (sorry for the improvised neologism). Alcatraz is a 1991 piece realized on tape as is the companion piece. It is a sonic reworking by the producers into Dolby 5.1 surround sound. Here it is paired with photography lovingly displayed on the video format by Jim Bengston. There is a second work on the disc which is a fitting companion piece called Eberbach (1985) after the abandoned monastery Kloster Eberbach in Germany. Both works are video sequences of images by the photographer accompanied by Marshall’s hypnotic, impressionistic and elegiac music. The audio version of Alcatraz was originally released on a New Albion disc in 1991 and Eberbach (the first two of the “Three Penitential Visions”) was released on a Nonesuch disc in 1985. According to the liner notes the two artists, who first met at Lake Forest College in Illinois, had been discussing a collaboration such as this for many years and a quick look at the copyright info confirms the dates of the photography to 1984 and 1985 for Alcatraz and Eberbach respectively. They reportedly exchanged photos and cassette recordings for some time and the quality of their collaboration is apparent. And now this formerly languishing collaboration is now completed as it was intended with the release of this DVD. The first work, Alcatraz consists of environmental sounds as well as electronic music and recorded acoustic instruments. Marshall creates a glowing ambient texture attempting to reflect the history of the famous prison island in the San Francisco Bay. The piece is in 7 sections nicely divided into tracks. Each section reflects different aspects of the prison and the location. The first section is a minimalistic piano piece which has added ambiance apparently from some added electronic manipulation adding a slight echoing which reflects the open empty reflectively resonant chambers of the stone confinements of the old prison structures. It is followed by some musique concréte incorporating sounds of the prison environment like the ominous slamming of a metal cell door and its echo. These sounds are manipulated with minimalist techniques of repetition creating a disturbingly oppressive memory of a sound which cannot ever have had a happy connotation for anyone. And, of course, throughout the stark, at times almost colorless photographs flow in a gentle rhythm from one to another with a few instances of “jump cuts” or quicker transitions. One gets the sense almost of the visual and sonic events having been co-composed into this hybrid art form. Eberbach is based on impressions by the artists of Kloster Eberbach, the first Cistercian Monastery which was established in 1136 by Saint Bernard of Clairvaux. 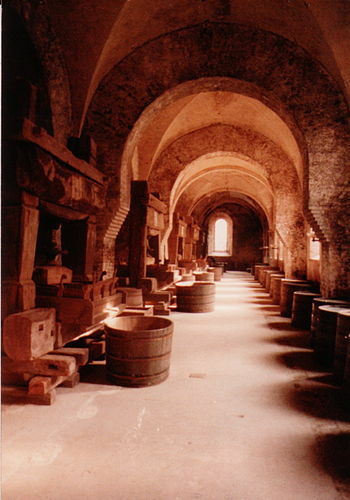 It is no longer in use as a monastery but is actively used as a concert space, wine tasting space (there is a large vineyard and winery on the property which is run by the state) and has been used for scenes in films such as ‘The Name of the Rose’. It is in fact an acknowledged architectural heritage site as it preserves fine examples of architecture from Romanesque, Gothic and Baroque periods. Eberbach was conceived and works as a companion to the first piece in several ways. 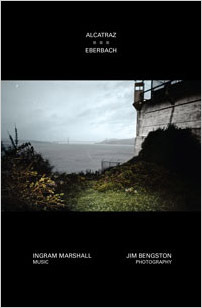 The same attention is paid to the use of environmental sounds as well as use of conventional instruments to evoke the scenes depicted in Bengston’s photographs. Both the prison and the monastery are about isolation from the larger society, monks in their cells, prisoners in theirs. This disc works on many levels. You can enjoy it as a focused experience sitting in front of the television listening to the music as the pictures flow by. But you can also experience it as it was played in an installation type setting with the pictures and the music as this sort of ambient living sculpture object. One can, of course, also experience the pictures or the music alone. This is a very pleasant and enjoyable disc which is a satisfying culmination of these long gestating projects. The original recordings were mastered by Bob Shumaker and the current surround sound mix was done by the equally talented Tom Lazarus. Photo to digital transfers were done by Lavasir Nordrum Design. Executive producer Thomas Steenland did the design of the package and the DVD menus.